This is a map by Hal Jespersen, www.cwmaps.com. 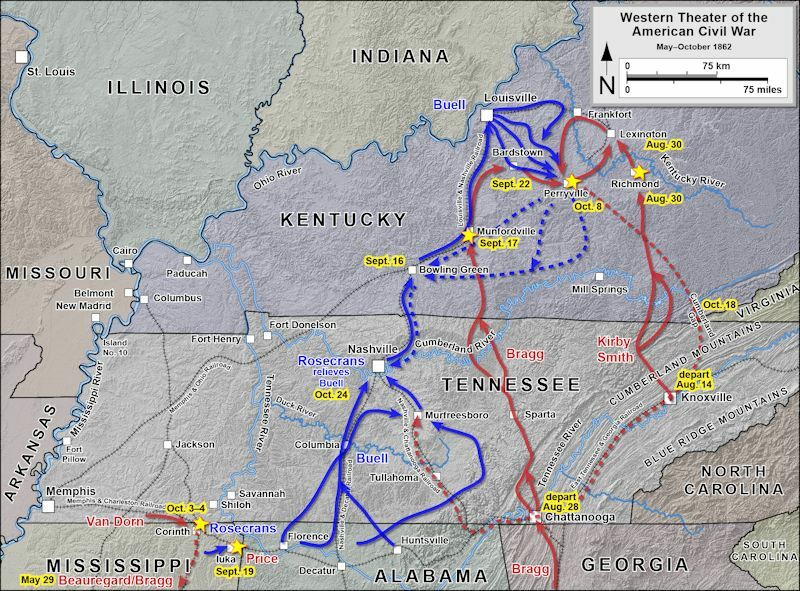 It shows the general movements of Union and Confederate forces in Kentucky and Tennessee from May through October, 1862. It does not show the movement of Gen. Morgan's division when it took and held Cumberland Gap, from May through September, 1862, however, the map does show the higher level strategy of the Confederates as they invaded Kentucky in an attempt to put that state under the full control of the Confederacy.